Clubs have been changing badges for yonks - casually adding a castle, a football or even a bird, here and there. For Notts, of course, the changes have been even more extreme. Every new owner that's come in (and lets face it, there have been a few of those lately), has wanted to change something about the badge, to denote the start of the good times...again. We can't do them ALL but there's been four during the period this site covers...let's have a look. 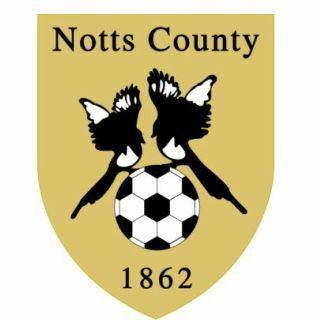 Another new badge - commencing use at the beginning of the 2010-11 season as Notts return to division 1. Popular as the previous one was, being associated with promotion, it had to go (for reason, see below).The new badge was designed after a range had been displayed on a popular but unnofficial messageboard frequented by Notts new owner, Ray Trew. 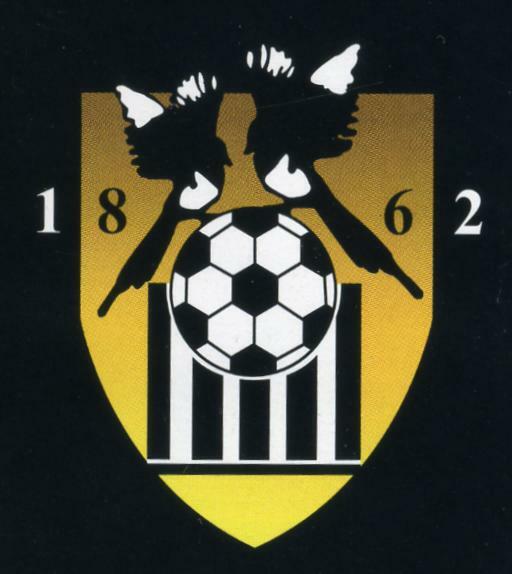 A slight variance on the original deisgn, this badge was introduced at the start of the 2004-5 season. The black and white stripes disappeared and the image became much simpler. The reason for it ? You've guessed it... the club, struggling for funds as ever, needed to cut costs in the production of their merchandising. If you know about shirts, you'll know the embroidery is the lions share of the cost so the simpler design, the cheaper the overall unit cost. It's all about money !